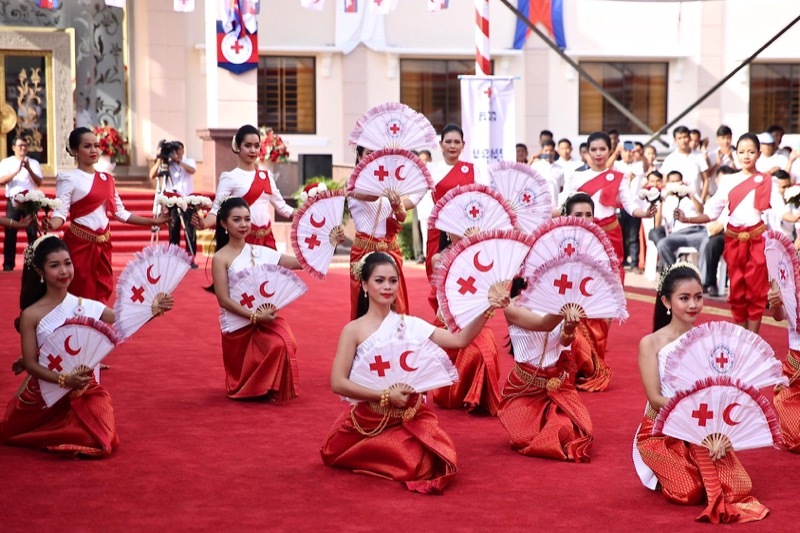 Dancers perform at a fundraiser for the Cambodian Red Cross in Phnom Penh on Monday, in a photograph posted to Prime Minister Hun Sen’s Facebook page. 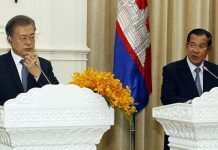 Prime Minister Hun Sen got political on Monday during an annual fundraiser for the Cambodian Red Cross (CRC), an ostensibly neutral organization the premier’s wife has previously used to campaign for the ruling CPP. 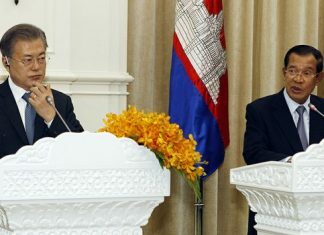 Speaking to a crowd of wealthy donors after his wife Bun Rany, who runs the CRC, Mr. Hun Sen used the stage to take an oblique swipe at the CNRP, which is on a tour of Cambodian communities overseas to raise money for coming local and national elections. The CPP has long been accused of using its control of the CRC to win and maintain support for the ruling party. While handing out CRC aid to flood victims in Pailin province in 2013, when the country was in the grips of a political standoff over the disputed results of recent national elections, Ms. Rany told the crowd that only her husband’s party could care for the needy. “When there are floods or any other incidents, fathers and mothers and brothers and sisters have seen that there is no other party coming to help you here…. There is only the CPP because all civil servants are CPP,” she said at the time. The CRC regularly raises million of dollars at its annual fundraisers from the country’s political and business elite, many of them CPP lawmakers and top party members. This year’s event raised $13.4 million, nearly matching last year’s haul. And just as he did last year, Hong Piv, the owner of New World Microfinance, topped the donor list, this time with $1.28 million. NagaCorp, which has exclusive rights from the government to operate Phnom Penh’s only casino, NagaWorld, donated its usual $1 million. Sok Kong, the owner of the Sokimex corporation, donated $150,000. Businessman Lim Vanna and Kith Meng, owner of Royal Group, each donated $100,000. 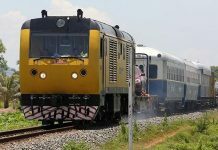 Sao Sokha, the National Military Police chief and a member of the CPP’s propaganda and education committee, donated $67,500. CPP Senator Mong Reththy and CPP National Assembly member Ban Srey Mom each donated $10,000, matching the contribution from the Vietnamese Embassy. The Chinese Embassy donated $20,000.